Uncle Classic Barbershop [Amy Tanksley] hosted a “Shave the Date” event with the Nashville Predators this week. The Tennessean blogged about the event in which Brent Peterson, Nashville Predators hockey operations advisor, shaved his mustache to kick off “Movember” month of men’s health awareness and fundraising. Jeff Turner [National Storm Shelters] penned an article for the Tennessean about the dangers of the fall storm season. Lawn and Landscape featured an article on the successful process of rebranding Taylor Milliken’s [Elite Landscaping/Milosi Landscaping] company. 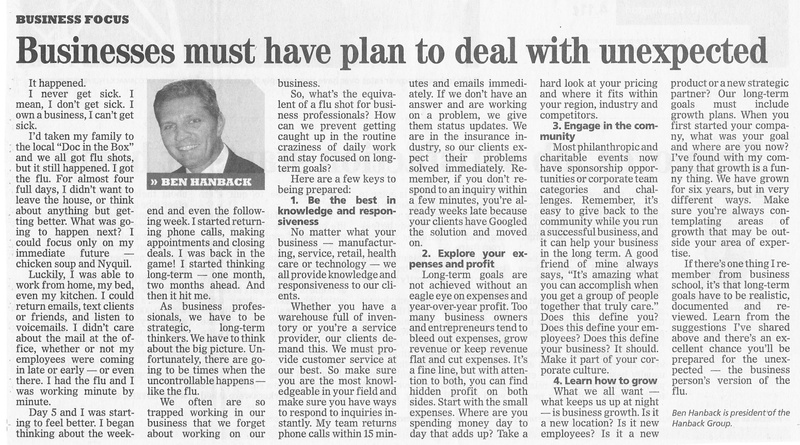 Andy Bailey’s [Petra] Tennessean column focused on the benefits of priority management over time management. Julie is also a finalist in the Stevie Awards “Woman of the Year” technology category and will attend the awards dinner in New York on November 8. 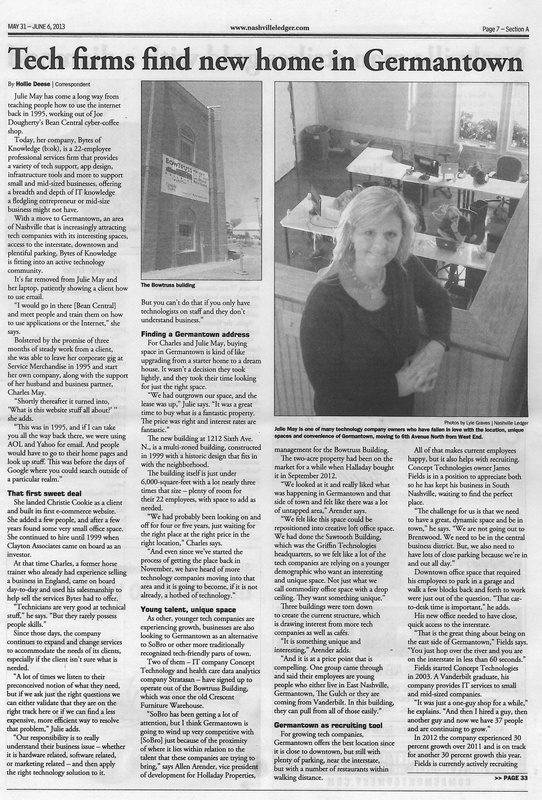 The Tennesseean highlighted this accomplishment and provided details about the event. 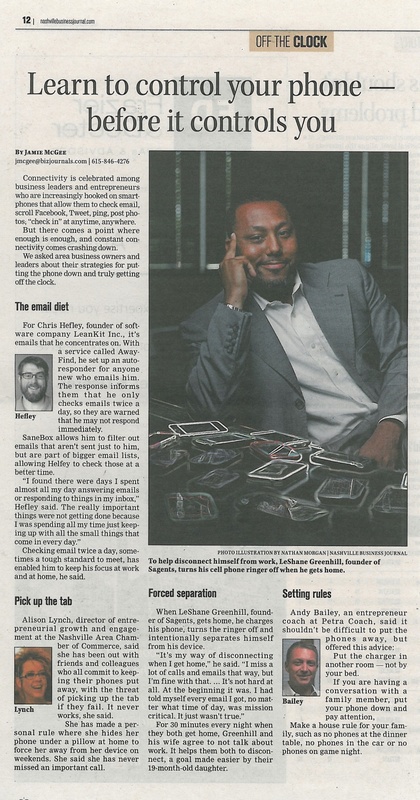 A Nashville Business Journal article titled “Nashville Entrepreneurs Feel Confident about the Economy” focused on a recent study conducted by the Global Entrepreneur Organization and featured quotes from Joe Freedman [Music City Tents] and Ricky Scott [The Kingston Group]. 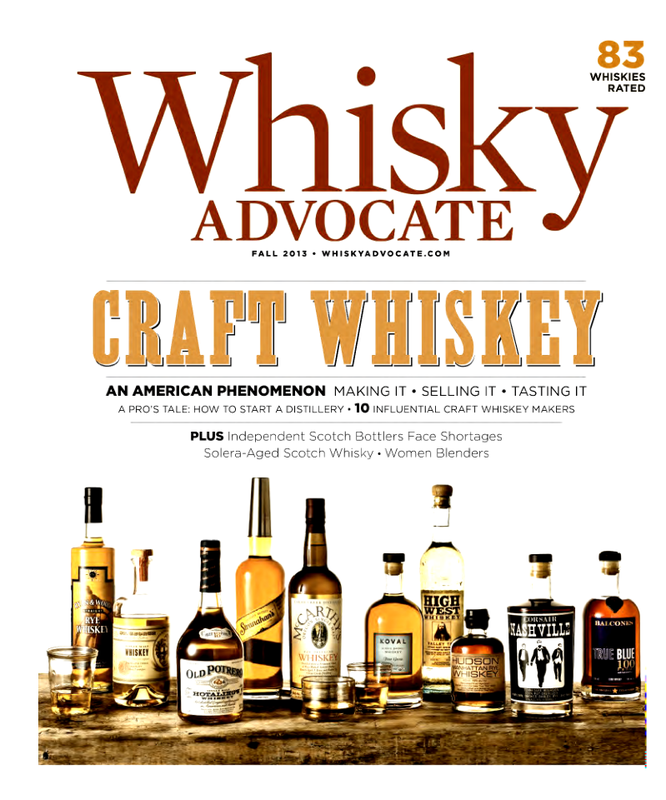 Men’s Journal Magazine named Corsair Artisan [Darek Bell] “The Next Great American Whiskey” and penned an article about the company’s success. Entrepreneur Magazine’s online section “10 Questions” featured input from Michael Brody-Waite [InQuicker] about how to prepare for a trade show. 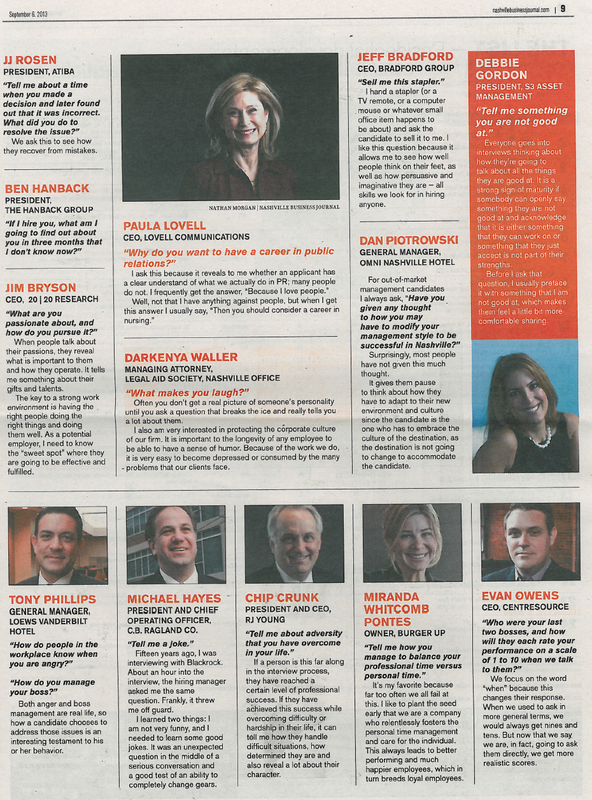 Michael was also spotlighted in The Nashville Business Journal’s “40 Under 40” editorial series. James Fields [Concept Technology] focused his Tennessean column on how to hire smart technology employees. 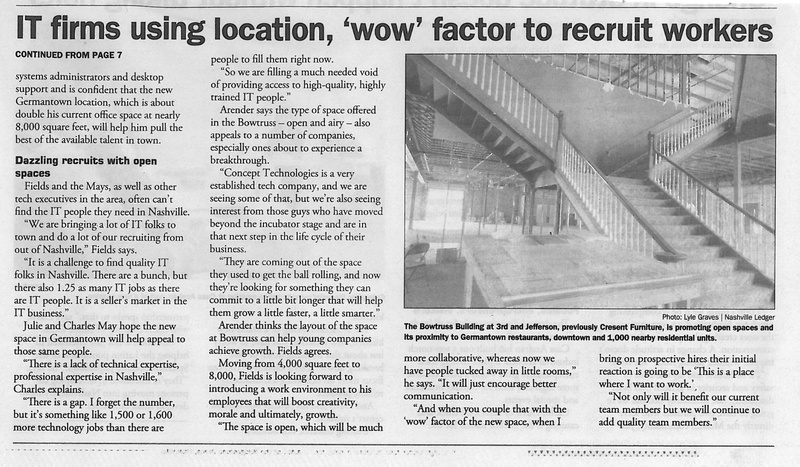 The EO Nashville Moveable Feast was featured in The Nashville Business Journal’s “Working the Room” section. In fun, entertainment news, Jenny Terrell, wife of JT Terrell [Music City Tents] landed a starring role on the new TNT television series “Private Lives of Nashville Wives.” JT was mentioned in The Tennessean article about the cast. EO Nashville’s Moveable Feast was featured on the Nashville Lifestyles event page, check out photos from the event here. Julie and Charles May [bytes of knowledge] gave a tour of the new b:ok headquarters to the Nashville Business Journal. 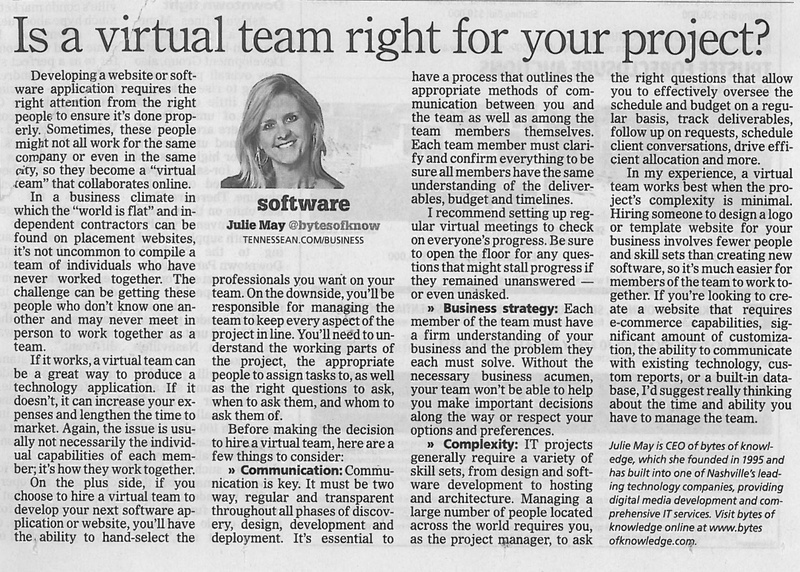 Julie was also quoted in a Tennessean article about the difficulty of finding venture funding in Nashville. 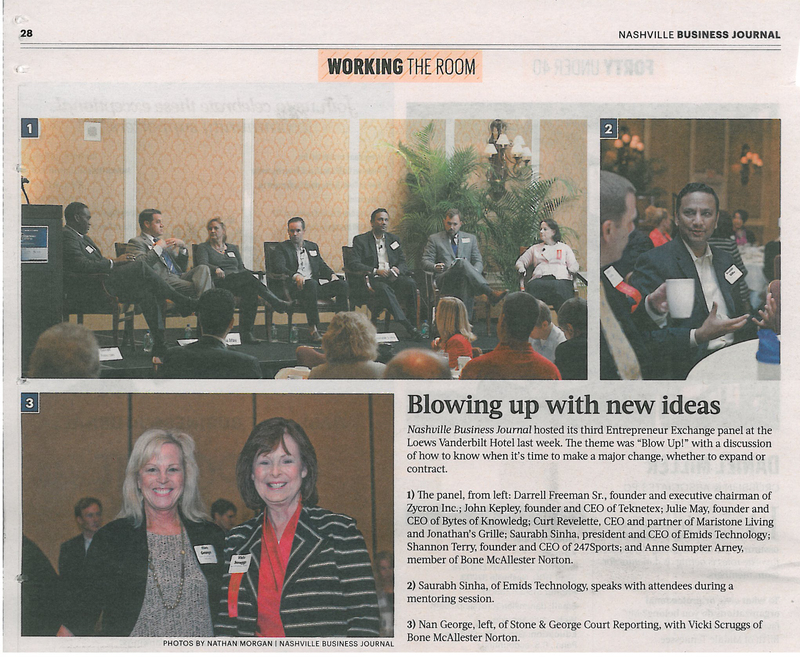 John Kepley [Teknetex] and Julie May shared their insights on starting a business at the Entrepreneur Exchange panel discussion, hosted by the Nashville Business Journal. 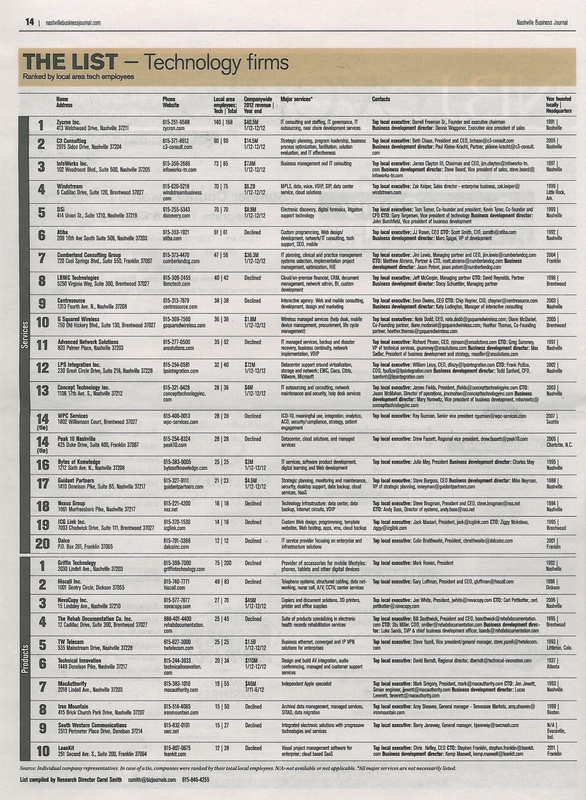 John was also featured in the Journal’s last Call Section, offering his Pandora playlist to readers. The Tennessean published an article about Core Development’s [Mark Deutschmann] plans for a mixed-use redevelopment project in the Wedgewood-Houston neighborhood. 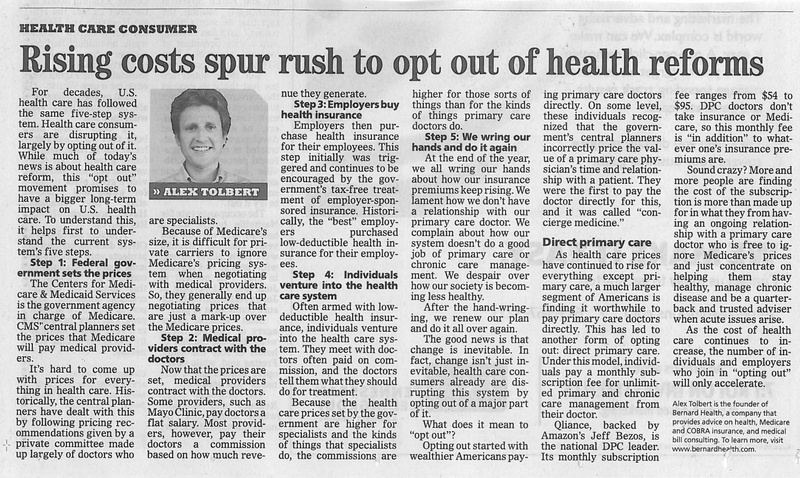 Alex Tolbert [Bernard Health] penned an article for Business News Daily about the five health benefit tips for startups, and wrote his column for the Tennessean on why employers will shift to individual health coverage. 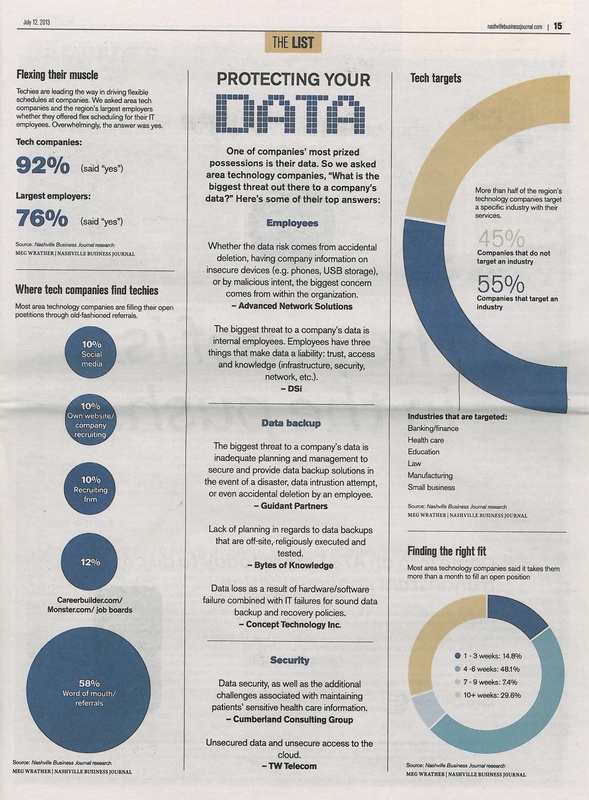 Alex was also quoted in a Nashville Business Journal article about health insurance exchanges. Corsair Artisan Distillery [Darek Bell] was named Whisky Magazine’s “Innovator of the Year” for the second year in a row, adding to its list of awards in 2013. The Nashville Scene wrote an article on the company’s accomplishments. 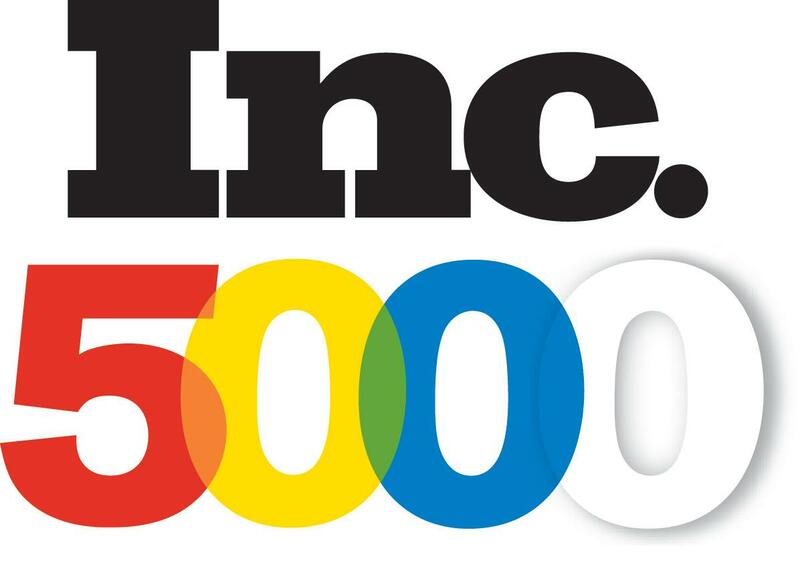 Distribution Center Magazine mentioned Comfort Supply’s [Clay Blevins] achievement as an Inc. fastest-growing private company on the cover of its October issue. Greg Greenwell [TotalPrint] offered advice on how to successfully buy a business in this week’s edition of The Nashville Business Journal. In his monthly column for the Memphis Daily News, David Waddell [Waddell and Associates] gave his opinion on media coverage of the rising debt ceiling. J.J. Rosen [Atiba] penned an article for The Tennessean that focused on maintaining the reputation of a business. The Nashville Business Journal quizzed Will Newman [Edley’s Bar-B-Que] about his favorite places to eat and things to do in their Last Call section. 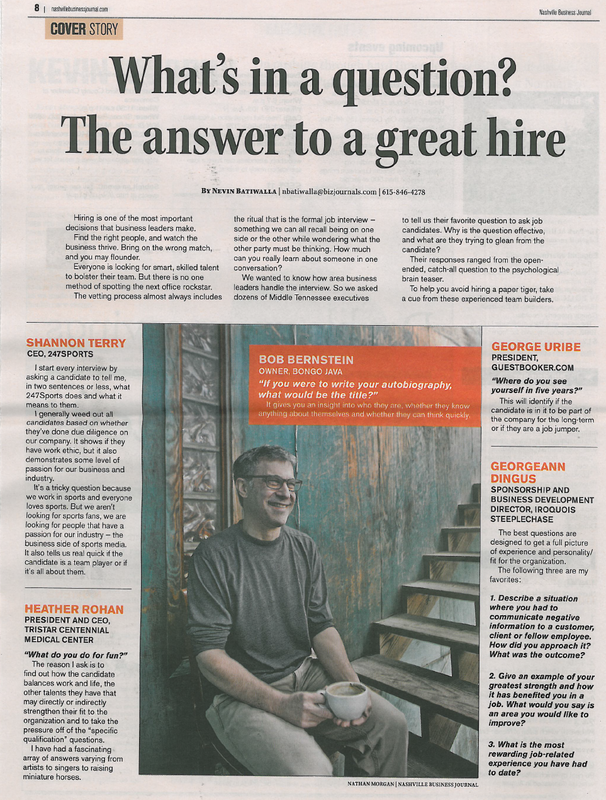 Andy Bailey’s [Petra] weekly column in The Tennessean gave advice on how to be a good leader. Our week in review. Here’s a look at what EO Nashville members have been up to. James Fields’ [Concept Technology] bi-weekly column in The Tennessean listed five places where you shouldn’t cut corners in your IT infrastructure. In partnership with Boeing, Smartvue [Martin Renkis] has been chosen to protect the US Open with remote video surveillance. Village Real Estate and Core Development Services [Mark Deutschmann] won an ULI Nashville Excellence in Development award at the recent gala at Music City Center. Paramore | the digital agency [Hannah Paramore] recently announced its move from the Gulch. Paramore has used EO Nashville member company Facility Planners [Nancy Leach] in the process. The Nashville Post published the news. 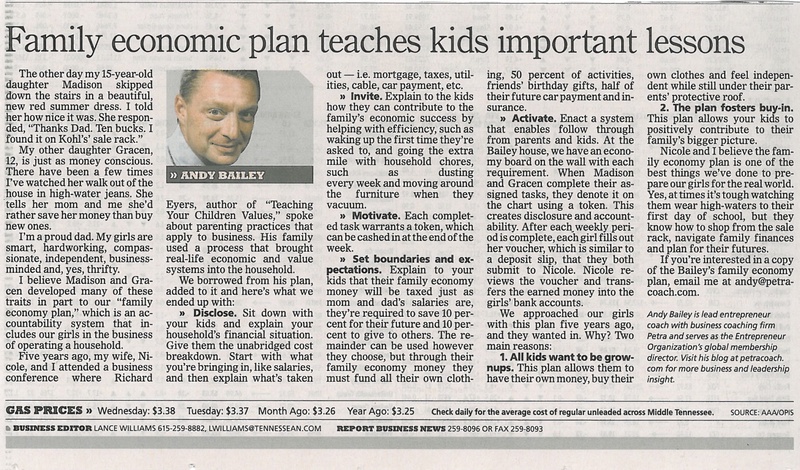 Andy Bailey’s [Petra] bi-weekly column for The Tennessean, published today, detailed his family’s economy plan, which was designed as an accountability system that includes his daughters in the business of operating a household.